It's the end of the month, time for another wrap-up post! 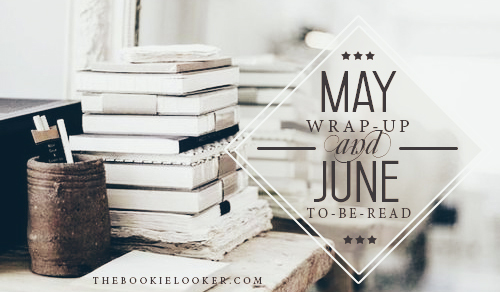 In my last month's wrap-up post, I listed some books to be read in the month of May. Thankfully, I finished off most of them - although I had to add some new books to the list (which I got sent from publisher to be reviewed). And even though it was a really busy month for me, finalizing my thesis and all that, I'm really glad I still got a lot of reading and reviewing done. So here are the books I've read and reviewed this month, non-review posts in May, and lastly a list of books I'm planning to read in June. This was amazing! I think this book will totally be one of my favorite reads in 2014. It's fast-paced, action packed, had me on the edge of my seat the whole time, and introduced me to Minho's character that I love so much. I began reading this series because I know the movie adaptation is going to come out soon. Hopefully it won't disappoint. 5/5 stars for this one. The adventure continues; and this book is still action-packed, but I feel like there's lack of story development in this part. Even so, I can't deny I still thoroughly enjoyed reading this book and I kept wanting for more. There are so many questions in my head and I was hoping to get the answers on the third and final book. I still gave this one a 5/5 rating. Received this from Penerbit Haru to be reviewed; I kind of expected a lot from it because I'm really intrigued by the synopsis at the back of the book. But the first-half of the book doesn't show much development or conflict. Although I really enjoyed the second-half of the book, where the real conflict starts and all the characters need to deal with the situation. So I rated this one 3.5/5. This one is also sent from Penerbit Haru; first thing, I absolutely love the cover - it's so dreamy and sweet. Unfortunately, I didn't fall in love with the story. I kind of had problem while reading; a lot of confusion, and the translation doesn't feel smooth. The plot doesn't show much development; and I cannot relate with the characters in this book. Like the previous book, this one also got a little better towards the ending. At the end I gave this book a 3/5 stars. It is the last book of The Maze Runner trilogy, so my expectation was super high on this one - and I expected to get a lot of answers to the mountain of questions in my head. Unfortunately, a lot of things are still unclear. 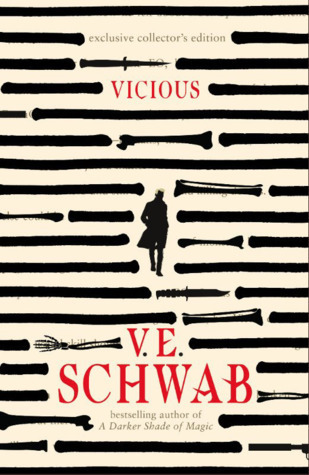 And by the end of this book, I'd still say I enjoyed the reading experience - it was thrilling and suspenseful, but I'm also a bit disappointed. Even so, I still gave it 4.5/5 stars. This book is the prologue to The Maze Runner trilogy. I was expecting a lot from it, because I still have so many questions about the trilogy - and I was hoping to find the answers in this book. But I have to admit I am so disappointed by what this book offered; although there are some parts that I enjoyed in this book. And so I only gave it 3/5 stars. I read this alongside The Kill Order, and I absolutely love it! There are only 5 episodes - which are chosen by the readers, because they think those are the greatest episodes. And I have to totally agree because all 5 episodes are so thrilling, exciting, and full of unexpected twists! Reading this makes me want to read Detective Conan from the start. 5/5! I had this book for quite some time but never got the urge to read it. And when I found out that this month's BBI read-along topic is humor books, I thought this would be a perfect time to pick it up. It was pretty short, and I had fun reading it, had a lot of laughs - although I think I wasn't able to see the point of several parts. It's a very random book, yet very fun to read. So at the end I gave it 3.5/5 rating. And lastly, I also finished reading Guilty Pleasure by Christian Simamora - but I'm going to haul and review it next month :)) I'm really happy I finished off 5 books from my TBR list, and also read most of the books from May's book haul. And again, I'm really proud of myself for reading this much books, because I was going through thesis-hell last month which was really hectic and crazy. On the down side though, this month's non-review post is not as much as last month's. 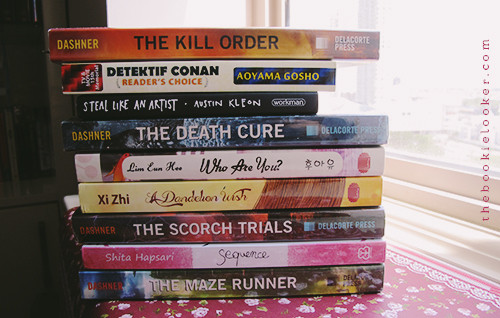 And below are my June TBR as well. I only set 6 books to be read, will definitely read more if I get to finish all of them. So, like I said, last month was super hectic for me. Because it's time to finalize everything - touch-up on the designs, started writing my thesis paper (which was a hundred times more difficult than writing a review, obviously), and all that stuff. I'm really nervous for the thesis trial day which will be on June 10th - only a few more days! I probably won't get much reading done few days before that, because I will probably be practicing on my presentation. I've worked so hard to get to this point, and hopefully all those sweat and energy (and moneyyy) won't go to waste. I really hope to get a good grade for my thesis. And of course, I cannot wait for my graduation day (which I still don't know when it's going to be). So wish me luck! May the odds be ever in my favor, please! Oh, and I will also mention that May is a pretty important month for this blog, because it has finally reached 600,000+ pageviews! Yayy! It's been almost three years, and this blog is literally part of my life now. I really hope those of you who read my blog are inspired to read more books, because that is one of my main purposes in creating this book-blog in the first place. 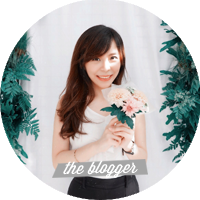 And I can never say thank you enough for all of my blog readers - including the silent readers, of course. 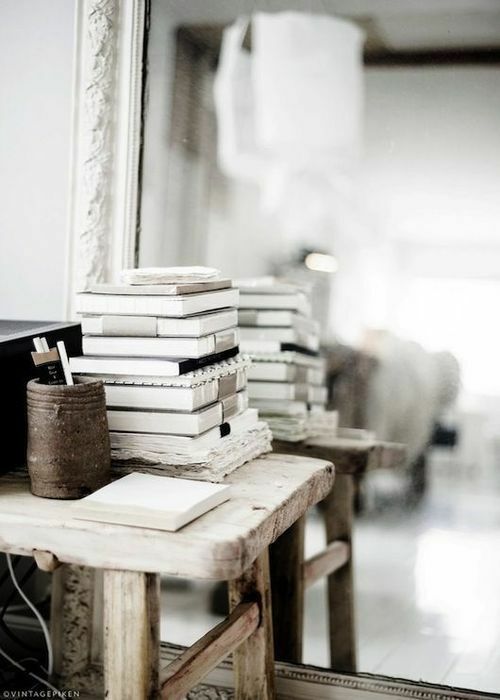 Because the pageviews is one of the thing that motivates me; makes me want to keep writing reviews and post all the bookish stuff on this blog. So once again, thank you! And hopefully I will be able to keep this blog going even after I graduate. Good luck ci for your thesis! Can't hardly wait for your review of Night Circus and The Book Thief. Is it odd for me to read your review even for books that i've read? ha..ha..Yours are english ver or translated one?